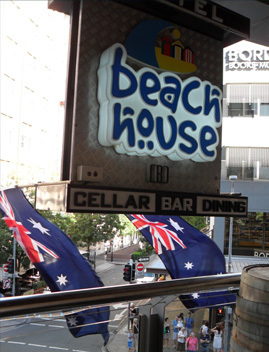 Beach House Bar and Grill > Franchise | Beach House Bar & Grill is an Australian themed Bar & Grill celebrating Australian Beach culture and cuisine. If you want to be in control of your destiny, believe you have what it takes to operate a successful bar & grill and have the passion and work ethic to make it happen, a Beach House Bar & Grill Franchise is for you. 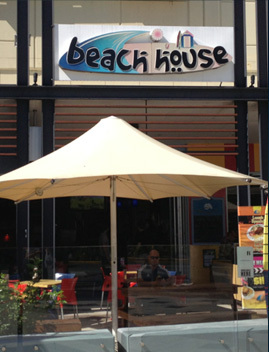 Beach House Bar & Grill continues to grow our brand across on the Eastern seaboard of Australia. We have seen significant expansion within South East Queensland in particular, the fastest growth area in Australia. With its proven systems and track record, Beach House Bar & Grill can reduce the risk of starting your own business. Part of an established brand. Common resources, ideas and information. Beach House Bar & Grill has kept its franchising costs as low as possible to encourage growth within. Our current franchisees are people who have worked in the system and have decided to buy into it. We would like to think this will continue such that employees will one day own a Beach House venue themselves. Likewise, people with no hospitality experience are encouraged to join the system. The comprehensive training program on human and information systems ensures those with no hospitality experience are given the right tools to manage a Beach House Bar & Grill or several depending on their motivation and skill. Franchising is not a business itself, but a way of doing business. It is essentially a marketing concept - an innovative method of distributing goods and services. It is also an extremely successful and rapidly growing aspect of Australia's small business sector. "Franchising" is used to describe a number of business models, the most commonly identified of which is what is to be used at Beach House Bar & Grill. franchises through the use of a format, or a comprehensive system for the conduct of the business, including such elements as business planning, management system, location, appearance and image, and quality of goods, Standardisation, consistency and uniformity across all aspects are hall marks of the business format franchise. Business format franchising is today the fastest- growing segment of franchising and has spread to virtually every sector of the economy of Australia. It has significantly more franchise systems, more outlets, more employees and more opportunities than product and tradename franchise. Business format franchising requires a unique relationship between the franchisor (the owner of the system) and the franchisee (the owner of the individual outlet), which is commonly referred to as a "commercial marriage". The ongoing business relationship includes the product, service and trademark, as well as the entire business concept itself from marketing strategy and plan, operational standards, systems and formats, to training, quality control and ongoing assistance. These matters represent the tools the franchisee needs to trade above their size. The beauty of the franchise system is that the goals of both the franchisor and franchisee are complimentary, in that when the franchisee is successful so is the franchisor. The relationship between franchisee and franchisor is ultimately a legal one and is governed by an extensive franchise agreement. This agreement sets out the rules governing the relationship between the parties provides protection for both parties.